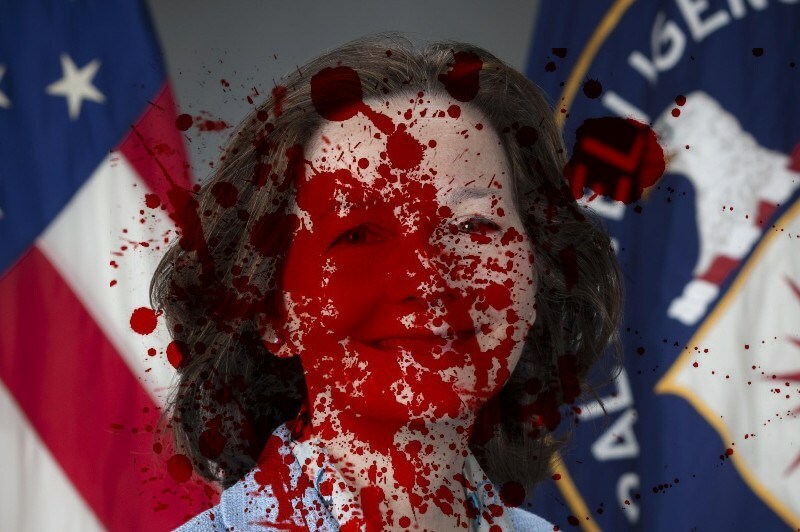 Gina Haspel is the evidence-destroying torturer whose Senate confirmation hearings for CIA chief were so frightening to her that she tried to bow out of them (she went, and bullshitted her way through). The Trump White House is determined to see a torturer running the Agency, and the Agency agrees -- they like Haspel because she's a CIA lifer who will continue business as usual, rather than a Trump-appointed political hack like Mike Pompeo (who is vacating the job to serve as Secretary of State) or Senator Tom Cotton, whom Trump mooted giving the job to. The CIA -- a spy agency charged with effecting propaganda and disinformation campaigns in foreign countries -- is now waging a propaganda campaign in support of Haspel. They have selectively declassified documents about Haspel that put her in a good light (while refusing to declassify documents that their Senate oversight committee wants made available to the public) and have sent lengthy, upbeat news briefings to national media. Last week, Mr. Heinrich and two other Democrats on the intelligence committee, Senators Ron Wyden of Oregon and Dianne Feinstein of California, wrote a letter that decried “the absence of any meaningful declassification of her career.” The plea for more information about Ms. Haspel was their fifth, they wrote, noting that they had yet to receive a response. Instead, the agency has “issued a news release that included a superficial narrative about Ms. Haspel without providing the public any meaningful information about her 33-year career at the C.I.A.,” the letter said. Opposition to Ms. Haspel’s nomination is growing elsewhere. More than 100 retired generals and admirals plan to release a letter on Monday saying they believe she is unfit to lead the C.I.A. because of her role in the interrogation program and destroying the videos. The letter was organized by retired Gen. Charles C. Krulak, the former Marine Corps commandant.